UNITED NATIONS, Jul 19 2016 (IPS) - The first 1000 days after the adoption of the Sustainable Development Goals are critical, according to a report published last week, urging UN member states to take action quickly. The ODI compared current progress on some of the development goals with the goals and targets and showed that a delay of six years in Sub-Saharan Africa can almost double the effort that have to be put into achieving goals such as universal birth registration. 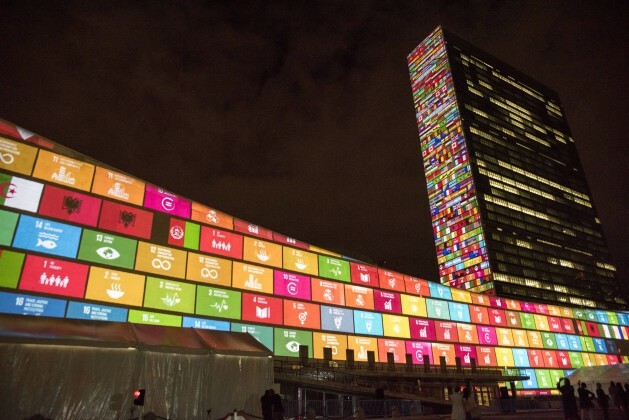 The UN’s Sustainable Development Goals are supposed to be attained by 2030. A first review is in progress at the moment as part of the High-level Political Forum on Sustainable Development, although officially the goals have only been in place for 7 months, and most member states are yet to even gather baseline data, showing where they are beginning from. Without explicit data, experts think that it will be difficult to motivate states to start working on the SDGs early. That is why the report “Leaving no one behind” emphasizes the benefits of tackling the most urgent development problems as soon as possible. “It’s a little bit like a pension... the longer you leave paying into a pension, the more expensive it gets… The SDGs work the same way.” -- Elizabeth Stuart, ODI. At a high-level meeting here on Monday, many states expressed their approval of a quick start to implementation. Lilianne Ploumen, Dutch Minister for Foreign Trade and Development Cooperation stated that “you cannot only point at others, you also have to point to yourself”. For Boima Kamara, Liberian Minister of Finance, it is important to “give voice to those who are marginalized” as a way to ensure that no one is left behind. Of course, apart from the unanimous approval of the 2030 Agenda, all participants at the event highlighted their own countries’ milestones. However, one of the main issues is, as the Colombian representative Simon Gaviria said, that ‘leaving no one behind’ can mean “everything, and nothing, at the same time”. Each country therefore has to set a focus and re-structure the Agenda according to its own national context. Developed countries like the UK, Germany or Canada explained that they would be splitting the work on sustainable development in aid for countries in greater need and particular areas of deficit in their own societies. The ODI report also discusses the needs people want to see addressed. It argues that instead of specific goals, the people that are ‘left behind’ actually wish for government spending on key services like roads and electricity in general. The report makes it clear that the costs of achieving the ambitious goals are high. But it also shows that delaying action will push them up even more. “If countries are not travelling along this critical pathway, it may already be too late to reach the SDGs for all their citizens. In Sub-Saharan Africa, for example, countries already need to reduce preventable child deaths at a rate of 7 percent each year between 2015 and 2030 to meet the global target. If they wait until 2018, that rate increases to 9 percent”, the report states.